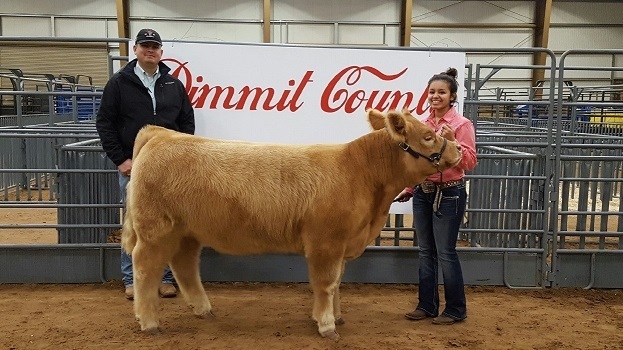 Dilley FFA Member Isabel Sanchez, a Senior at Dilley High School, attended the 2016 Dimmit County Classic held in Carrizo Springs, Texas. “Goldie Darla” her Registered Chianina Heifer was named the Reserve Champion Exotic Heifer at this year’s prospect show. Isabel is the daughter of Mr. and Mrs. Robert Sanchez of Dilley, Texas. Congratulations Isabel we are proud of you! !